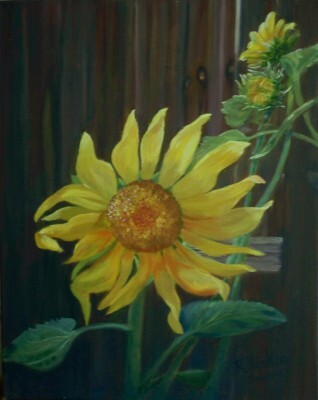 My art is being exhibited at the present time at the Murfreesboro Art League at Canonsburg in Murfreesboro, TN. (312 S. Front Street, Murfreesboro, TN. 37129) . See Blogs of current art Exhibitions. From June 2, 2017 through August 6, 2017, I will be exhibiting at the Gallery TPC in Bowling Green, KY with reception on Jun 2nd from 5:30 - 8 pm. My inspirations come from nature scenes, animals, and people. Although I find oils more enjoyable, I also sometimes use acrylics for abstract paintings and pastels for producting portraits. 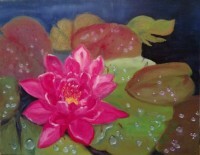 I am passionate about painting in any form and thoroughly enjoy creating works of art. 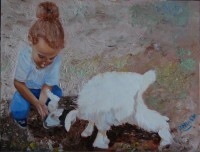 My works of art are in oil, acrylics and pastels of nature, animals, and people. 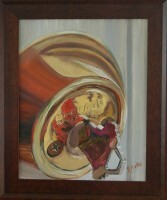 Some imagative works have also been produced. Since 2008, I have really been painting a lot more and exhibiting my work, although I have been painting and drawing a very long time. Creating paintings gives me great joy, whether gifting, keeping, or selling them. Immediately on seeing something that gives me joy or inspiration, I want to paint it. As I paint, I hope to portray in the paintings, my feelings about the subject, hoping those observing the completed painting will also find joy and inspiration. Viewing and making art lifts my spirits and carries me to a wonderful place of imagination. At eight years old, I began drawing and painting by numbers. The smell of oil paint was like being in a most beautiful and lovely place from which I did not want to return. While pursuing my bachelor’s degree at the University of Tennessee, Nashville, TN, I also took art classes in drawing, oil painting and history. Over the years, my knowledge of art creation increased through books, videos, classes and workshops with wonderful artists, including Daniel Green. Since 2008, art instructors from Monthaven Art Society (Hendersonville, TN), The Murfreesboro Art League, and Plaza Artist Materials (Nashville, TN) including Christine Pilkinton, Igor Babailou, Gayle Levee and many others too numerous to list. Since 2014, I have studied under the tutelage of Gayle Levee. I began exhibiting my paintings in late 2016, first at the Murfreesboro Art League’s Gallery (which is a part of the Boro Art Crawl every other month and is where I still exhibit my paintings) and at the Depot District Art Crawl in Smyrna, TN. During May, June and July 2017, my paintings were exhibited at the Rotunda in the Civic Center in Murfreesboro, TN., the Crawl the Mall in the global Mall off Bell Road (formerly Hickory Hollow Mall), the Smyrna Depot District Art Crawl in Smyrna, TN., and the Gallery TPC in Bowling Green, KY. The paintings were done from life or direct observation, some completed from my photographs of the subjects. My inspiration occurs by observing sparkling sunlight shining through fall foliage, the play of sunlight and shadow on various objects, an expression, the play of light on water, foliage, and colors created by movement.